What Does an HIV Test Look Like? World AIDS Day kicks off AIDS Awareness Month on December 1st. The awareness day’s theme for 2018 is “Know your status.” In recognition of World AIDS Day 2018, the Positive Resource Connection is hosting a free all-day HIV testing event at our office from 9am-4pm, Friday, November 30. Knowing your HIV status is a vital step towards receiving the care you need to keep yourself, your partners and your community healthy and safe. Don’t know your status? It’s time to get tested. Whether you’ve made an appointment, or are visiting during our walk-in hours on Wednesdays from 4-6:30pm, you’ll first check in at the front desk. There you’ll wait for one of our certified HIV testers, who will bring you to their office. Your HIV tester will walk you through a confidential consultation, which includes questions to assess your risks for HIV. Together you’ll determine that an HIV test is appropriate and proceed with the test. How does an HIV test work? The actual test is fast and simple. First, you’ll clean your finger with rubbing alcohol and draw a small amount of blood with a finger prick. Your blood will be captured in the testing container and solutions will be added to determine if antibodies to the virus are present in your blood. The test only takes one minute to complete. My results are positive, what now? The Insti HIV test yields results in one minute. 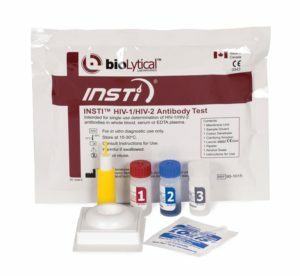 If your test results are positive, the first thing your HIV tester will do is administer another test to confirm that the results from the first test are accurate. This could be a second rapid test (one minute), or they may draw a small amount of blood from your arm. If the second test confirms that there are antibodies present, your tester will explain the results and discuss what to do next. What are the next steps after a positive result? Positive Resource Connection is here to help. After your positive test is confirmed you can meet with one of our care coordinators immediately to talk about how to cope with the diagnosis. They can help you figure out who to tell, and how to tell them, and discuss what treatment options are available to you. Did you know that once your viral load becomes undetectable, you won’t be able to transmit HIV to anyone else? Your care coordinator will help you form the best plan to care for yourself, so your HIV is properly managed and doesn’t progress to AIDS. What if my test is negative? If your test results are negative, your HIV tester will discuss the options to protect yourself from becoming HIV positive in the future. Options might include taking PrEP, a daily pill that helps prevent HIV infection. If you believe you may have been exposed to HIV recently, your HIV tester will most likely recommend another test in a few weeks. 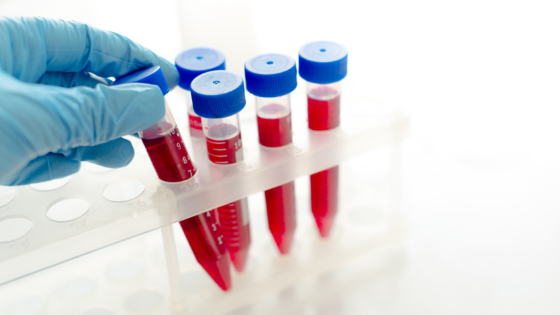 It can take time for the antibodies to present themselves in your bloodstream, so a second test a few weeks later can confirm whether or not you have contracted HIV. Regardless of your results, Positive Resource Connection is here to help. Contact us at 260.744.1144 or send us a message by visiting our website.